I've come at sound from the classical music side of things, so if you're music philosophy inclined and haven't read it, John Cage's "Silence" might be worth your while - it made me fall in love with sounds apart from music. Thanks to all for entering the Foley Grail giveaway contest! The contest has now closed and the winners have been contacted. I am constantly trying to find good books to read to gain perspective and to improve my craft as an audio engineer, and sound designer. I have read most of the books mentioned in this podcast, and they have all been amazing reads. I feel like every time I read an industry book, I gain so much insight, and I'm always motivated to improve my skills after hearing from top professionals. Great podcast! I'm definitely going to check out some of the titles mentioned in this episode. Once again - thanks for a great show! Rob Bridgett's "From the shadows of film sound" is also well worth a read. Love all the books you have mentioned! Anything by Mike Senior is great as well of course. Audio Culture by Christoph Cox and Daniel Warner was the bible through university studies! I don't own many books on the subject but one I like a lot is Modern Recording Techniques by David Miles Huber and Robert E. Runstein. Another one for the shelf "Audio Postproduction for Film and Video- Jay Rose"
Another great podcast, cheers team! 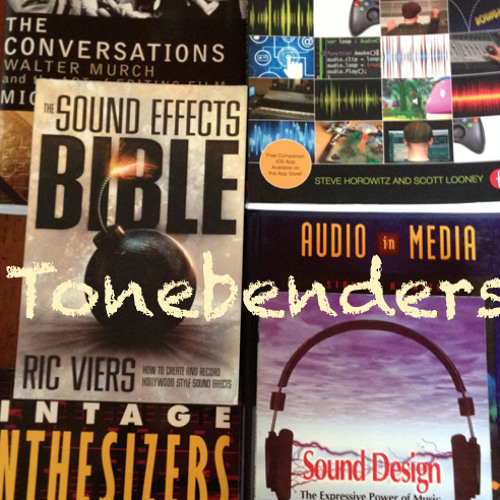 Personally I love the two books by Mr Viers, I use the sound effects bible all the time for inspiration when trying to create new sound effects and foley. I'm not saying this lightheartedly, but this is really the best sound design podcast out there. And i'd recommend "Mixing Secrets for the small studio" by Mike Senior. Top book. Awesome episode! There were a lot of books I hadn't heard of yet that I'll look up and buy ASAP! Keep up the good work people!!! Great episode! I'd like to throw in the following books - 'Sound Design: The Expressive Power of Music, Voice and Sound Effects in Cinema' by David Sonnenschein. great book with lots of tips regarding workflow and finding creative ressources. - 'Practical Art of Motion Picture Sound' by David Lewis Yewdall an awesome collection of real world experiences and stories. - 'Sound Synthesis and Sampling' by Martin Russ imo the best book to make the step into the world of sampling and synthesis. Awesome Decibel / Hr Relations of Damage, I feel so happy to work on 74 or lower dB.